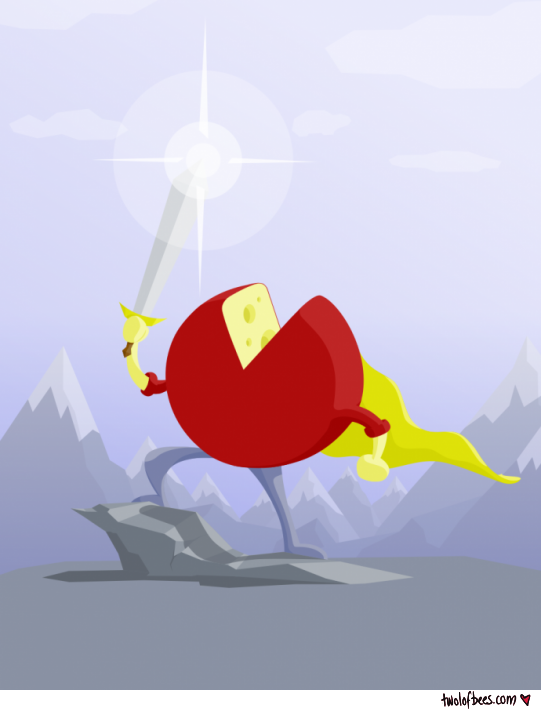 While watching a Slick Entertainment dev stream on Twitch yesterday, artist Jesse Turner spotted my username (ValiantCheese - I lost Cheeseness when Twitch dropped support for Justin.TV logins) and drew a little sketch of a cheese wheel holding a sword. 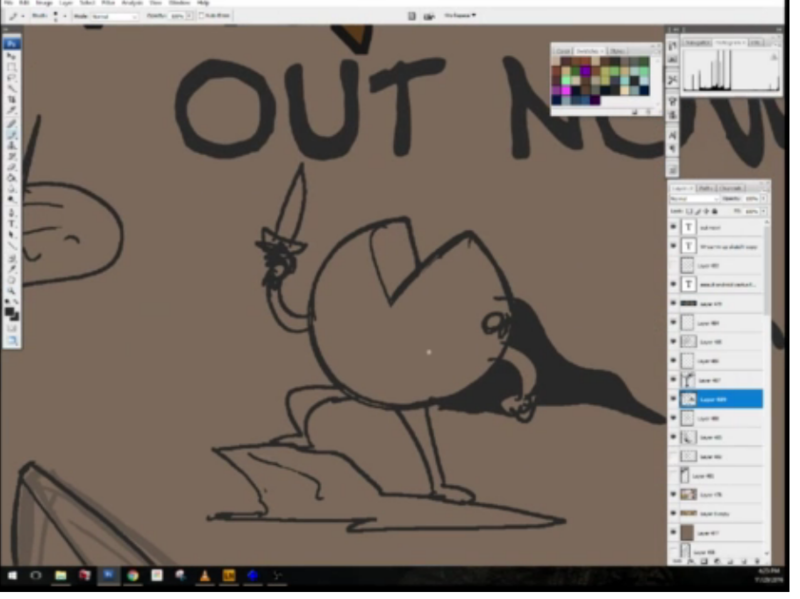 It looked great, and to express thanks, I wanted to do a coloured version and share it during the stream. Unfortunately other work kept me busy and I wasn't able to make a start until much later in the day after the stream had ended.